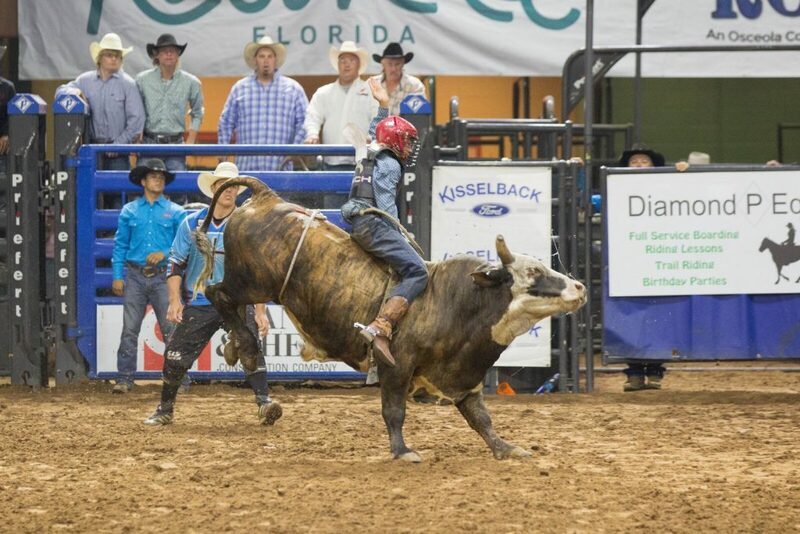 Rodeos in Florida are a great time for attendees to dress up in western attire and be someone else for a day. With Halloween right around the corner, now is your chance to relive all those rodeo feelings you might’ve had during one of our rodeos! Whether it’s for that Halloween party you got invited to or just what you are going to wear to trick-or-treat, we threw together a couple of fun, rodeo style suggestions. Here are five easy and affordable rodeo-themed costumes that will go off without a hitch this Halloween! If you have ever been to the rodeo, you know that the crowd looks to the rodeo clown for a good time. If you’re looking to be the life of the party this Halloween, then this is the costume for you! All you need is face paint, an old flannel shirt, oversized denim shorts, and a whole lot of good jokes! 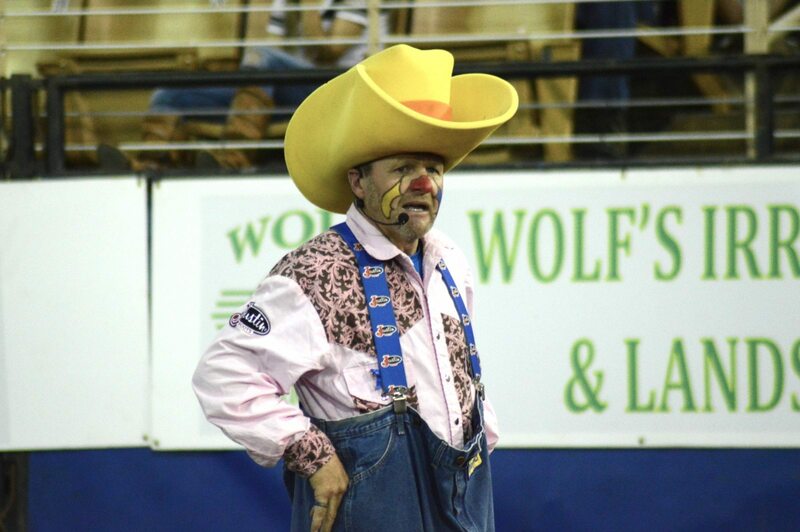 Check out this link here to create your own rodeo clown costume or here to see how to paint your face like a true rodeo clown. Cowboy and cowgirl costumes are quick, simple and a lot of fun! This costume is also perfect for those dog owners out there, as you can include your (four-legged) best friend in your Halloween festivities. You can also bring out the southern charm and dance the night away to Cotton Eye Joe. Check out these videos on how you can create a quick cowboy or cowgirl look this Halloween. A roper is all about time and this costume is definitely easy on time! This is a quick and easy costume where all you’ll need are jeans, a button up, a cowboy hat and some ropes. With this costume, you can rope in a good time and a whole lot of candy! If you’re in need of some accessories for your lil’ roper, check out our sponsor Boot Barn to give your kid the final touch to their costume. 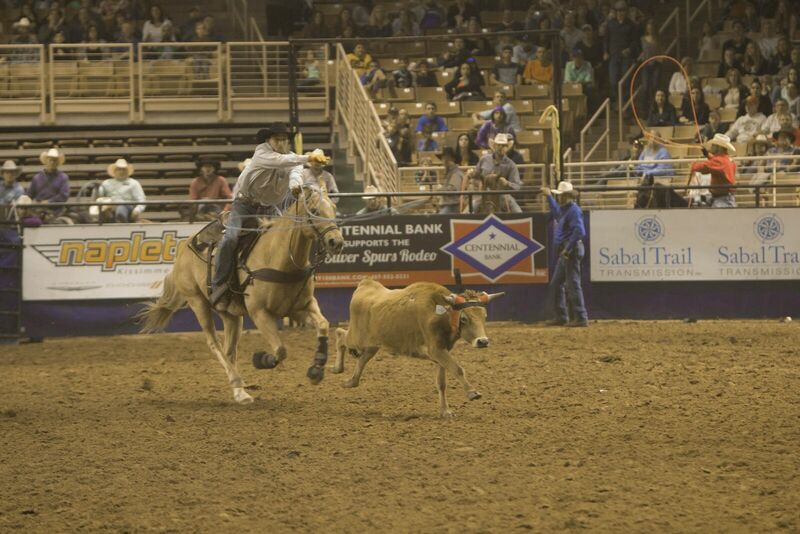 Bronc riders have to stay on a bucking bronc for eight seconds during rodeos in Florida. While that sounds like it’s easy, it’s actually a pretty hard feat when you consider how hard that bronc is bucking to get that rider off! Rest assured, this costume will only take you about eight minutes… which is way easier! All you need is a pair of jeans, an old button up, a cowboy hat, and pair of chaps. If you can handle being a superstar for a night, then this costume is for you! If you need to find some chaps for your lil’ bronc rider, check out our sponsor Boot Barn to give your kid the final touch to their costume. Bull riding is the roughest and toughest event in rodeo, with the hardest part of the job being to just hang on. Fortunately for you, you get to look and act the part without all the hard work! This is a simple and easy costume choice that takes no time to put together. You will need jeans, a button up, chaps and an old helmet. If you are ready to dance like you won the rodeo, now’s your chance to do it! If you want to kick up your bull rider costume to the next level, check out this inflatable bull rider costume you can buy to complete your bull rider look. We hope you are feeling inspired by our rodeo-themed Halloween costume ideas! If you dress up as a cowboy or cowgirl, be sure to share your photos with us on Facebook or Twitter!